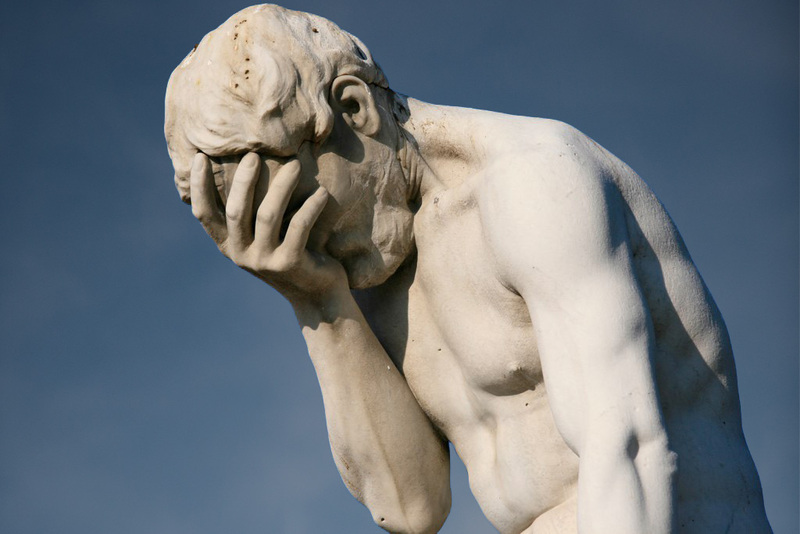 It has now become “Prevent Catastrophic Data Loss Month” at Lightroom Guy. It was barely three weeks ago that I wrote about the 3-2-1 Backup Strategy. This week, the #2 in my strategy, my 8-year old RAID (an OWC Mercury Elite-AL Pro Qx2) died. Not the four hard drives inside, but the enclosure unit itself died, which has been running non-stop since 2010. Not a bad lifespan for a physical device! Still, the data on these drives are lost without taking extreme measures. Before going out and spending any money on a replacement system, I did extensive research on the current state of backup hard drive systems and this blog post is the result of my research. We’re nothing if not particular about the hardware we use and recommend and figured this topic would make a great post since it is such a critical aspect of digital photography! 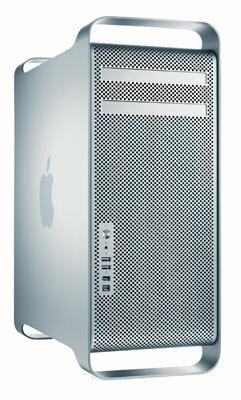 Based on my research, I have decided on getting a new NAS RAID system as my primary backup for my 2012 Mac Pro Tower. Fortunately, the #3 in my backup strategy has saved me from potential catastrophe! 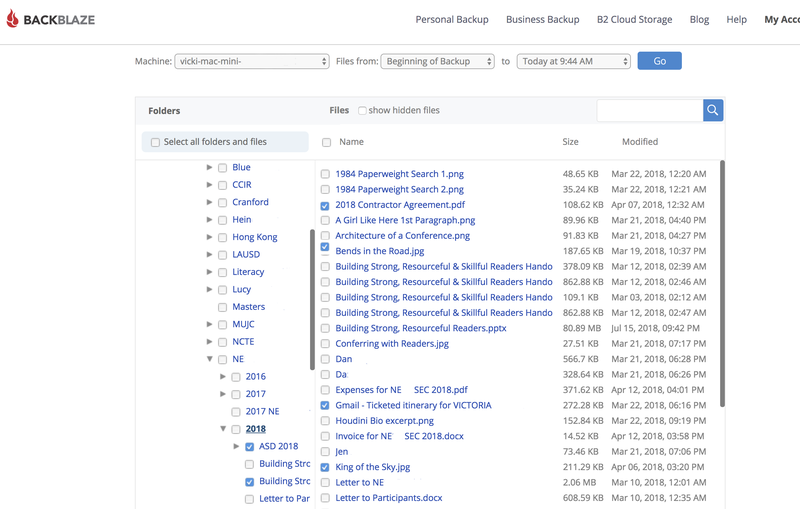 All of my computer hard drives are backed up in the cloud, using Backblaze. A RAID (stands for Redundant Array of Independent Disks) enclosure contains two or more hard drives that can be used for storage or for backup. Using multiple hard drives increases the amount of storage over using the limited space (and sometimes speed) of single hard drive. We recommend our clients to use one of two RAID setup methods: RAID 1 or RAID 5 (explanations below). And, things have changed considerably in the past 8 years. This time around I decided to get a NAS (Networked Attached Storage) RAID enclosure (NAS explanation also below). Simply put, a RAID 1 is about redundancy. It works like two separate external hard drives, but it’s all in one enclosure and looks like one hard on your desktop. This is also known as mirroring. If a drive fails, you have a full backup on the other half of the RAID 1. RAID 5 is about speed. Failure of one hard drive will not result in the loss of data. It’s pretty safe, but it’s not quite as safe as mirroring. It treats a group of hard drives like one drive. This makes for increased speed in data saving and recovery, while the failure of any one drive. In a RAID 5, if one hard drive fails (sometimes two, depending up configuration), the failed drives can be replaced without losing any data. In the rare event two drives fail at the same time, then there’s a problem with backup recovery. NAS is hard drive enclosure for storing data that can be attached to your home network for wireless access. This can be a single hard drive or a RAID with multiple drives. Unlike a hardwired RAID though, you can setup a NAS to backup all the devices in your home. You access a NAS via your home network wirelessly over WiFi. That would be your home modem or router. The Search for a Reliable NAS Was Too Easy! We’ve installed quite a few of them for our clients – mostly Asus (1), QNAP (3),and Synology (7). However, this search was short work. It didn’t take long for me to discover that Synology, which has been the easiest to install is also top rated on nearly every review site we looked at, including the New York Times’ Wirecutter website, PC Magazine online and CNET. The list goes on and on with Synology consistently coming in at the top of nearly every list with multiple models. The biggest challenge after deciding on Synology was, which model to purchase. I had the options of choosing a 4 or 5 bay NAS enclosure. 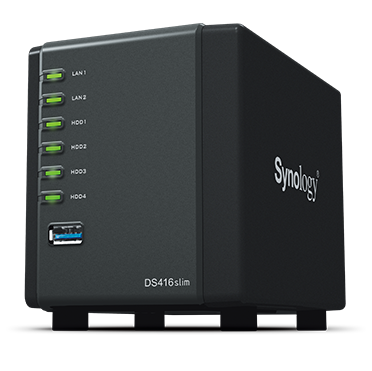 With the price of large capacity hard drives dropping nearly monthly, I opted for Synology’s DS416 Slim, a 4 bay NAS Diskstation, a low-profile, space-saving enclosure that will fit right into my Mac Pro Tower’s Metroshelf unit. Next, was to decide on a new set of hard drives. My last RAID had 4TB hard drives and was getting full. Since a local backup is my first line of defense, I wanted a larger capacity hard drives with an excellent warranty. Drives fail, especially when they’re running 24/7. And, for the record, I’ve replaced a number of failed drives within that warranty period with no manufacturer problems. 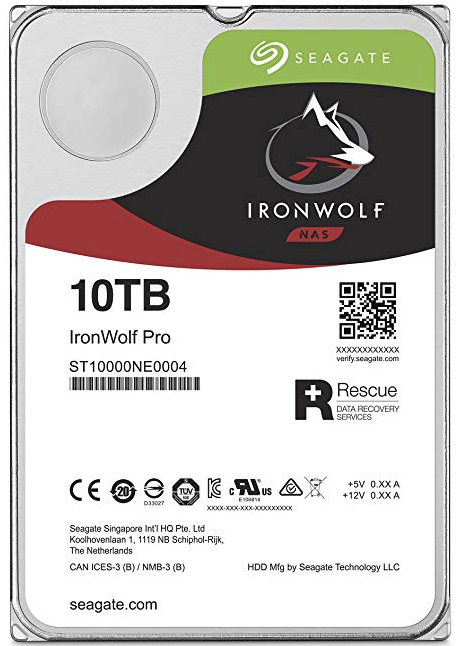 My final decision was based on Tom’s Hardware review of the Seagate Ironwolf Pro Hard Drives with a 5-year warranty. The review was of the 12TB drive, but included positive commentary on 6, 10 and 12TB drives as well. I trust Tom’s advice. These drives are not a cheap solution, they’re a reliable one. That’s the most important consideration. Now, with 4-Seagate 10TB Ironwolf Pro drives in my new Synology NAS, I have sufficient space to backup of my large library of photos on my Tower, and the 4 other Macs in the house without having to worry about space issues for years to come. Struggling to find a backup solution for your growing photo library? Consider upgrading to a NAS and, if you need installation or setup help, contact us here at Lightroom Guy for an estimate. Note: We receive a commission when you make a purchase through one of our Lightroom Guy links. 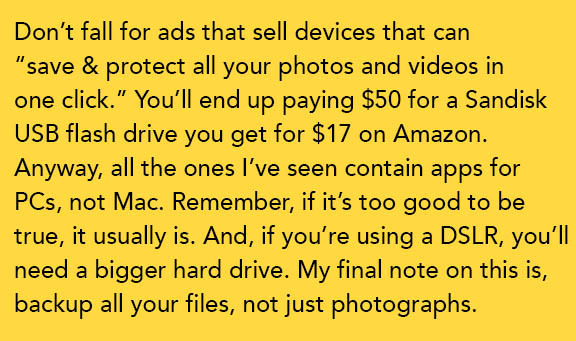 It won’t cost you more and it helps support Lightroom Guy. … and we’re not sure why. Adobe is branding this as a full version update of Lightroom Classic. However most of the updates and changes are under-the-hood improvements with a few important, feature specific improvements. Since this release coincides with the start of the 2018 Adobe MAX conference, we assume the marketing department wanted to have a bigger sounding headline. 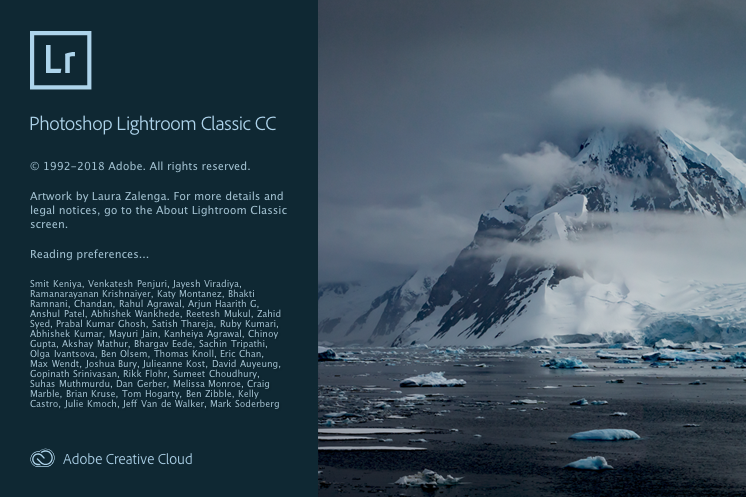 Nevertheless, these updates are welcome and demonstrate Adobe’s ongoing commitment that Lightroom Classic CC isn’t going away. Given the total number of updated features and bug fixes we thought it best to give you a review what we feel are the four most notable improvements. The laundry list, with short notes, of everything else is at the bottom of this post for those interested in more details about this “major” release. And, unlike previous major releases, version 8 will not upgrade your current catalog by creating a new “-2” catalog. Your catalog and its name will remain unchanged. If you have been using the new Range Masking features, you’ll appreciate this useful update. The Luminance Range Masking panel now includes an eyedropper tool for faster sampling of a single point or a range of luminance. Along with this added feature, there is now a “Show Luminance Mask” checkbox. This shows a preview your luminance mask selection against a monochrome version of your photo. Lightroom has added Depth Range Masking support for HEIC format images. HEIC is a new format which we expect will slowly replace the JPG format. The HEIC format has a lot of advantages, least of which is the ability to record how far away objects are from the camera. This version of Lightroom will be able to read that information which will allow users to be able to select the different depths and selectively apply local adjustments. Depth Range Masking will work the same way Luminance Range masking works, with an eyedropper to sample points and similar set of sliders. Currently, the only cameras that use depth range information are Apple iPhones shooting in the Portrait mode (7+, 8+ and X’s). Read more about this feature here. Ever since its introduction, the Dehaze slider has been hugely popular! 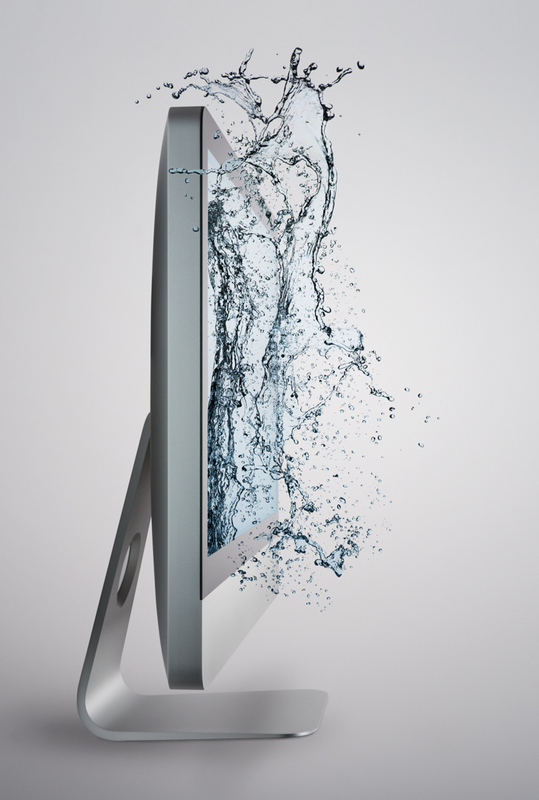 It was initially designed to help compensate for the perceived effect of humidity/moisture in the air. However, the actual effect is so dramatic that many users love to use the slider to quickly punch up their images. In this release, significant improvements have been made to Dehaze when making negative adjustments (moving the slider to the left). These changes are reflected in something called Process Version and Adobe has updated this release to Process Version 5 (PV5). In PV4, negative Dehaze adjustments would make an image appear to have an overall milky haze. In PV5 we see a notable change with contrast, color and details far better preserved. Positive Dehaze slider results remain the same. Professional photographers will appreciate that the Lightroom development team have been working on a complete overhaul of the tethering features, to be released in future updates. That said, Adobe has decided to throw some direct support to only Canon users for the moment. With this version, Canon users have improved tethering, faster performance and shorter time between capture and loupe view of images with improved reliability with less hanging or crashes. Nikon’s tether performance enhancements (as well as support for other cameras) will be in upcoming releases. We expect to see additional improvements and features for tethering in the near future. Adobe has released more details on tethering support here. The new Nikon Z7 and Canon EOS-R mirrorless cameras are supported in this release. For a full list of camera raw supported cameras click here. There is now process version 5. With significant improvements made for high ISO RAW files and the Dehaze slider. 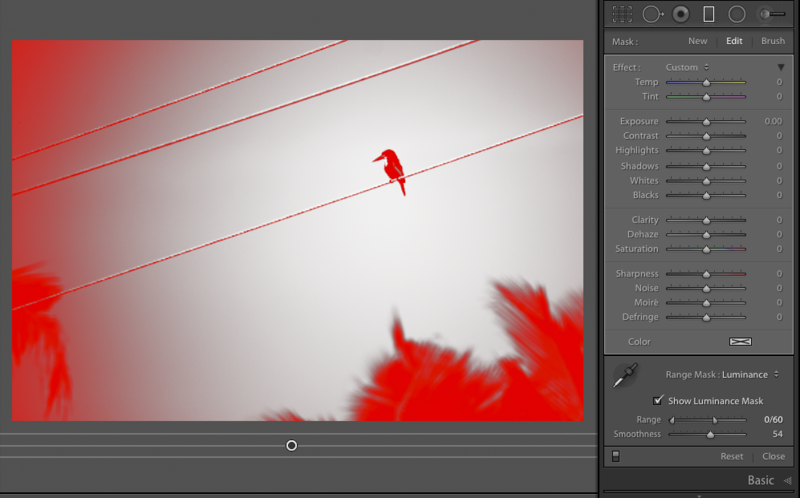 Negative Dehaze slider adjustment results are improved, making for better perceptual changes. High ISO files show less color aberration and improved shadow detail. This is a great addition for photographers who shoot Panoramas and use multiple exposure HDR techniques for expanded range of tone. As a result, this feature simplifies the merging and stitching process into a single menu item. Read more about this feature here. These are under-the-hood performance updates that should improve usability. Older AVI format video files will now open and play in a pop-up window. Support has been added for new HEVC (High Efficiency Video Coding) video format being used by Apple on newer iPhones. Read more about this feature here. Read more about Lightroom system requirements here. You must be logged in to the Creative Cloud to use the program in this and all future versions. This relates to performance optimization – hopefully we will see some more speed improvements with this version! If you have any of Jeffrey’s excellent Lightroom plugins (or other third party plugins), you may have to update them to work with this version. As I wrote in an earlier post, please hold off on updating to MacOS Mojave, which is the Mac operating system number 10.14. Apple announced its release today, September 24th at 5pm. And although you may not see it featured yet in the App Store, it’s there and available for download. You’ll also want to hold off on updating to MacOS Mojave until you have checked to see if your particular model of Macintosh can upgrade to this version. A really good example of “Why Not?” is compatibility issues with BookWright, Blurb’s excellent book design and publishing software. The folks at Blurb recommend to complete making any books in progress before updating toMacOS Mojave. If you have a book in progress in Lightroom’s Book Module and update to MacOS Mojave, your current book will be unaffected. Now, Blurb is a company willing to admit their software is not ready. There will be software that doesn’t work with Mojave, so hold off on updating to MacOS Mojave and save yourself some grief. We’ll try to keep you posted in the coming weeks. 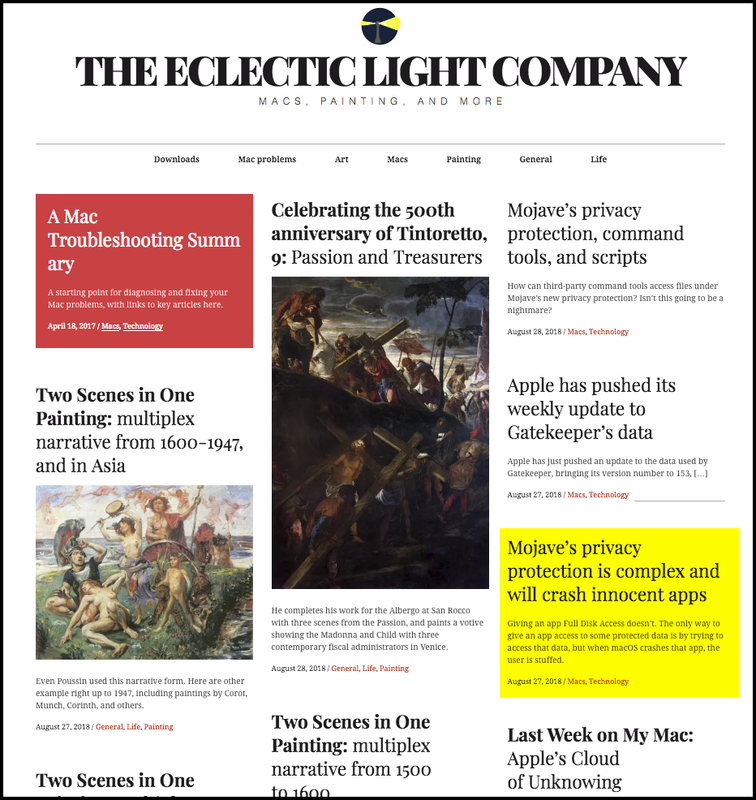 If you must and you’re tech savvy, we recommend going to the Eclectic Light Company’s app page and checking out 32-bitCheck to see which programs are 32 bit and Taccy to check your privacy settings and notarization. We don’t usually raise alarms like this, but if you have Adware Doctor (formerly known as Adware Medic), the #1 selling app in the Apple App Store, uninstall Adware Doctor now! It is malware and this news is extremely important. Why? Adware Doctor (also App Store’s Dr. Antivirus and Dr. Cleaner) has been stealing your browser history if you use Chrome, Firefox, or Safari. What does it do with your browser history? It sends that data to China. And it’s been doing that for years. How did we find out? On Patrick Wardle’s website, Objective-See. A site dedicated to developing Mac OS X security tools. He’s looked deep inside Adware Doctor and discovered that, under the hood, the app was deceitfully bypassing Apple’s security restraints. This is a astronomical privacy issue and we want you to know about it. So, please uninstall Adware Doctor, Dr. Antivirus and Dr. Cleaner if you have them. What I’ve discovered in my search for uninstalling Adware Doctor is, lots of very dicey “uninstall software” websites. They run down a list of procedures for removal that would be complicated for most users and pepper the text with ads for (you guessed it!) their recommendation for “easy” to use removal software. Please, don’t download these. 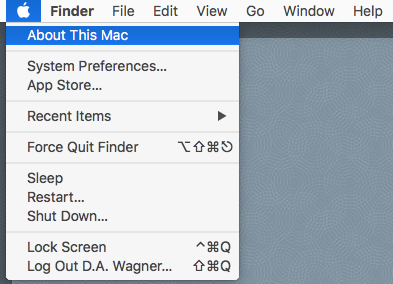 Removing apps from your Mac is relatively easy. MacWorld UK has a step-by-step article on how to uninstall software apps on mac. This will get you started, but these kinds of malicious apps can go unnoticed for years. So, please read on. Malwarebytes Labs’ most recent September 7th blog post has noted this very important privacy issue and will be updated to include all the above mentioned offenders and more in their soon to be released next version of Malwarebytes. Our recommendation has always been Malwarebytes for all our clients. There’s a 30 day free trial of this highly regarded and easy to use software. 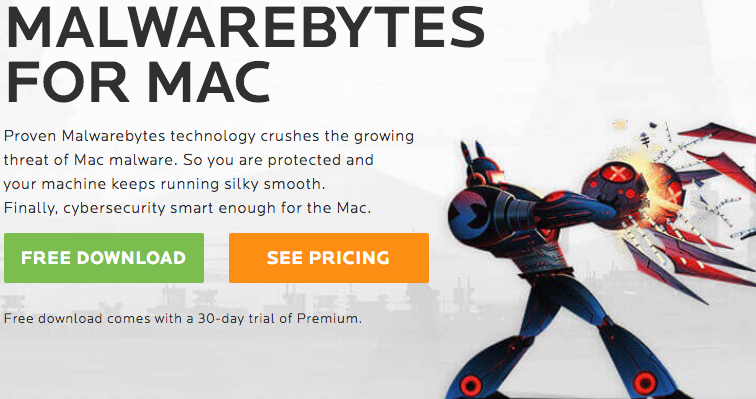 We implicitly trust Malwarebytes for all desktop Macs and PCs and we’ve used it to save our client’s from grief many a time. They’ve also introduced Malwarebytes for iOS. However, we haven’t used it yet and the reviews are mediocre (3.3 star rating) at the time of this writing. However, I do want to note here that, every comment on the Malwarebytes for iOS page in the App Store has a Developer Response. 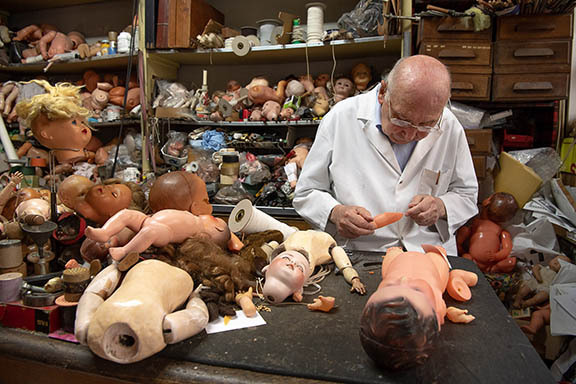 Those guys keep on top of their product. And, for the record, we don’t profit from recommending Malwarebytes. Will Your Current Mac Run Mac OS Mojave? Will your Macintosh des ktop computer or laptop run Mac OS Mojave? In my previous post, I wrote about the Mac OS Mojave software issues with links to help you find out which software you currently have that is Mojave compatible. 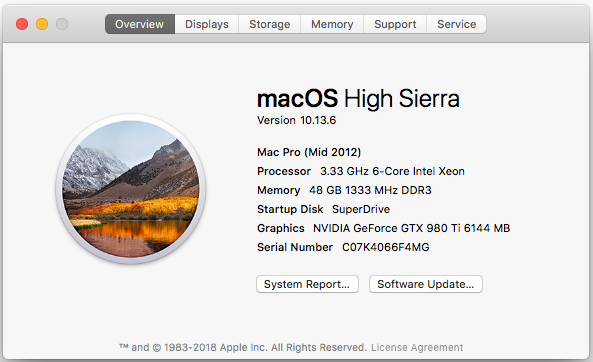 Mac Pros mid 2010 or mid 2012 models with recommended Metal-capable graphics processor, including the 4GB MSI Gaming Radeon RX 560 and 8GB Sapphire Radeon PULSE RX 580. That will open the Overview of your Mac and show what version of the operating system you have installed and the year and model of your Macintosh. For those working with 2010 or 2012 Mac Pro cheese grater towers, you’ll need to wait until Apple introduces the next version of the Mac Pro. Or, if you want to update your older tower to Mojave, you’ll need to replace the graphics board with a Metal capable graphics processor. Another few hundred bucks in “life support” expense to keep your cheese grater alive (I know I will be). If you’re working with earlier models of Apple computers, you’re out of luck for updating your operating system. Your computer will still work, of course. But, you’ll have to stick with High Sierra, or whatever earlier version of the Mac OS you might be using. The full list of what you’ll need to update to Mac OS Mojave is on the Apple website. Holding out on updating your Mac Mini, since hasn’t been updated since 2014? You may be in luck! MacWorld rumors that there’s a Mac Mini update coming in September. On the other hand, the Mac Pro isn’t scheduled for an update until some time in 2019. You might want to add up all those wasted moments you’ve spent waiting if you’ve been watching the rainbow pizza spinning every time you click your mouse. It could add up to hours of lost work every week. If that’s the case, you may want to seriously consider updating to a new machine. So, you’ve just imported a bunch of photos into Lightroom, but can’t find them. Where’d they go? Here are four ways on how to Search for Photos in Lightroom Classic CC. These Lightroom features are all very easy to learn, and learning them will make the time you spend working in Lightroom Classic CC faster and simpler. 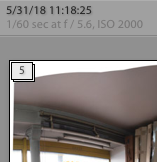 And, who doesn’t like having Lightroom work a little faster? However, please, take note that some of these search features are only available in Lightroom Classic CC version 7.3 or later. Earlier versions of Lightroom Classic CC won’t have most of the features demonstrated in the video. See just how easy it is to get Lightroom to behave and show you exactly where your photos and folders are located in this Lr:Shorts video! Fast and furious, Adobe’s been debugging and updating Lr Classic’s features, and so, the Lightroom Classic 7.4 Update is already here. It was only April when the last Lightroom update was released. This Lightroom Classic 7.4 release has bug fixes, catalog management improvements, new file format support and added features. It’s hard to keep up! Lightroom 7.3 introduced Profiles and additional Presets. In this release of Lightroom Classic 7.4 (available only for Creative Cloud members) you can have control over which Presets and Profile Groups are visible. This will allow you to hide what you rarely use and keep the Presets or Profile Groups you use most visible. This will reduce the time spent sifting through the myriad of Presets you’ve accumulated. Of course, the hidden items can be revealed again at a later date if you need them. 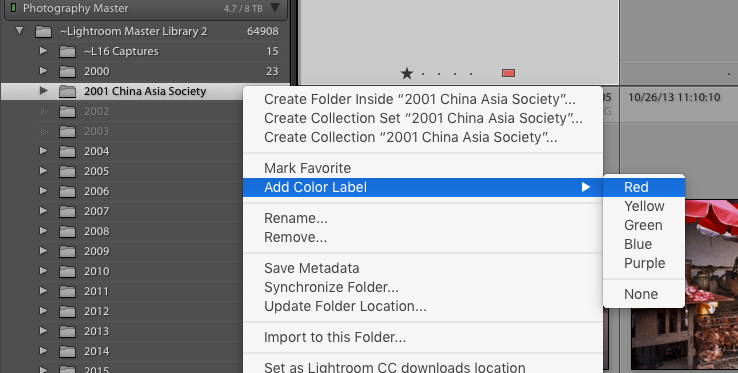 Lightroom 7.3 added a Favorites option that added a “star” to a folder icon. Now, using the same shortcut keystrokes, you can add a color label to your Folder (Not available for Collections. Maybe version 7.5?) by selecting a folder in the Folders Panel, Control Clicking (Mac) or right clicking (PC) and choosing a color from the submenu – “Add Color Label.” Once you’ve chosen a color, a color bar will appear on the far right side of your folder title. Searches will be faster, too. Click the magnifying glass in the Folder search window to see options for filtering by Color, Favorite or All. 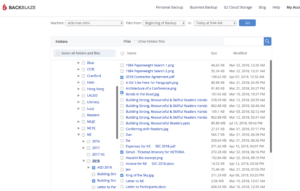 There’s more on searching Folders here on the Adobe site. I usually stack the source images I’ve used to create HDRs and Panos, keeping only the final merged image visible on top of the stack. This keeps things more organized (for me, anyway). 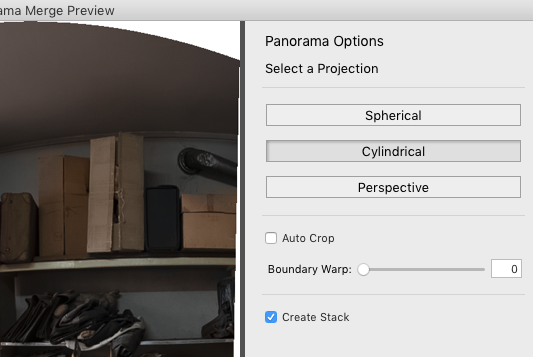 Now when merging to HDR and Panorama, Lightroom can automatically stack the source images used by simply checking the new Create Stack checkbox in the HDR/Panorama Merge Preview dialog. 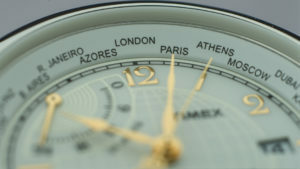 When the merging is complete, the final merged HDR or Pano image will be displayed at the top of the stack containing the source images used to create the HDR or Pano. 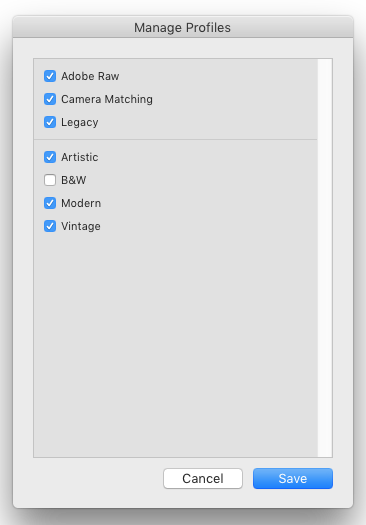 Lightroom Classic 7.4 CC now supports Apple’s HEIC image file format on macOS High Sierra v10.13 or later. For more info on this see the Adobe Tech Note. You can read more about the Lightroom Classic 7.4 update and how to use these new features on the Adobe website here.